In 2000, Ecodesarrollo Papagayo, S.A. assumed the development of Peninsula Papagayo Resort Community, on the northwest coast of Costa Rica, and opened a community relations office in order to have a direct connection with the nearby population centers. To better identify the needs of the local communities, an in-depth sociological study was undertaken, which concluded that the low level of formal education, training of the local resident and their low appreciation for the value of education would severely limit their ability to participate in the growing economy. 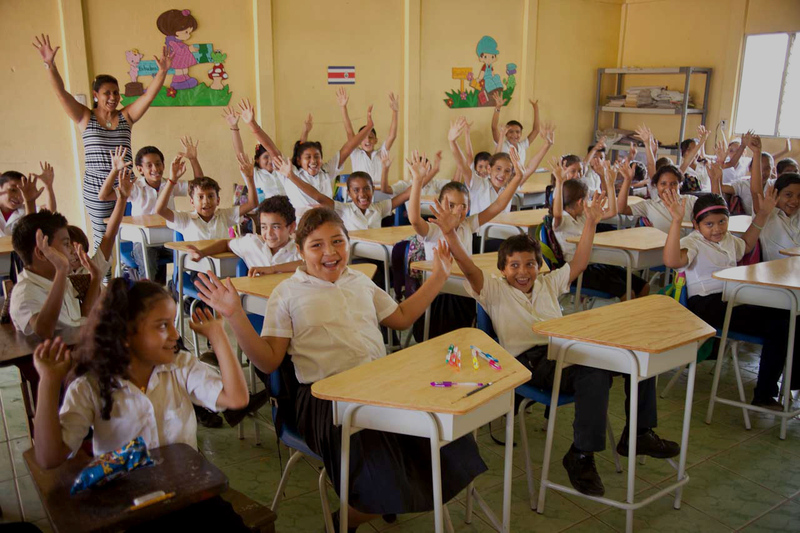 As a response to this problem, Ecodesarrollo Papagayo established in 2001 the community relations program Creciendo Juntos, which was tasked with improving the quality of education in the local elementary schools, as well as helping the local communities understand the value of education as a means toward improving their overall quality of life. Creciendo Juntos has been working with 19 communities to increase access to health, education, and training, empowering residents of the region to achieve a sustainable future and better quality of life. To date, there have been over 600,000 participants in Creciendo Juntos-sponsored courses, workshops, and training activities, benefiting children, adolescents, adults, and senior citizens, broadening the horizon of job opportunities, self-employment, and entrepreneurship for residents in the region. To ensure the sustainability of benefits to local communities of Guanacaste, Creciendo Juntos continually works to identify and address the needs of the residents of these communities. Creciendo Juntos is convinced that the best means to accomplish its goals is to establish strong relationships with appropriate private and public institutions and governmental agencies at both, the local and national level, in order to effectively carry out its mission. People and organizations associated with tourism and real estate in Guanacaste must become the engines of regional development, in partnership with communities and institutions.